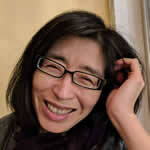 Naomi Kokubo is a serial entrepreneur, angel investor, partner at FOUNDERS.VC, and LP in August Capital. She is also the cofounder & COO of Founders Space, one of the world’s leading incubators and accelerators, with over 50 partners in 22 countries. Founders Space has helped hundreds of startups scale their businesses, raise capital and go global. Founders Space is ranked a Top 10 Incubator in Inc. Magazine, Forbes and Entrepreneur Magazine. In 2007, Kokubo was the COO of RocketOn, a venture-funded virtual world & social media startup. Before that, she was COO of Spiderdance, Hollywood’s leading interactive television studio, whose customers included NBC, Viacom, Time Warner, TBS, GSN and A&E. Naomi was also the cofounder of LavaMind, a developer and publisher of online games and entertainment, and Development Director at Electronic Arts, where she managed the development process for multimillion dollar video game titles. While in Japan, Kokubo worked at Morgan Stanley’s Tokyo Branch as a Financial Analyst. She has also worked in the film business, coordinating an international film co-production for NHK of Japan and Grundy Company of Australia. Kokubo is a graduate of ICU in Tokyo, Japan. She has a passion for manga and anime, and has translated dozens of Japanese comic books and animations.